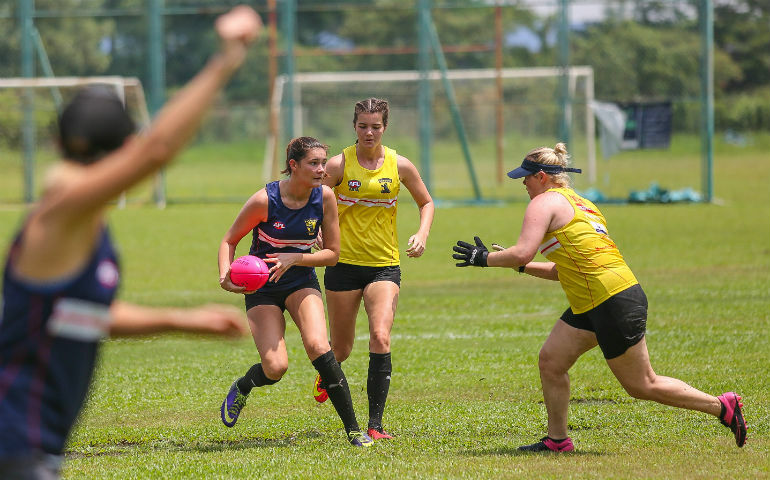 The Malaysian Warriors Australian Rules Football Club will host this year's iflix AFL Asian Championships - the largest tournament of its kind in Asia with the best teams in the region competing for top honours. For those in the know, this is going to be a weekend of highly competitive play as 21 teams from 15 countries descend upon Kuala Lumpur for the largest Asian championships. Aussie Rules is becoming more popular outside Australia and there are more people playing it than ever before. For those who don’t know what Aussie Rules is and think it’s similar to rugby (it really isn’t! ), this is a contact sport which is played on a large oval pitch with 18 players a side. To the uninitiated, this is an extremely fast-paced game with kicking, passing, touching to the ground, handballing and scoring goals through the goalposts. On October 13, head to the Bukit Kiara Equestrian and Country Resort to watch regional teams from Hong Kong, Indonesia, Singapore, Malaysia, Philippines and Vietnam. This year also sees the inaugural AFL Asia Women’s Division compete to be the best in Asia. Hosts, Malaysian Warriors will be defending their championship title; and the tournament will be streamed live on iflix where it’s available in Asia. Admission is free and senior AFL reporter at Fox Sports, Tom Morris, will be the official event commentator. This will be a great family day out as there will free activities for them including a bouncy castle; Auskick, a programme to teach the basics of Aussie Rules to kids aged five to 12; and a good variety of food and drink stands to keep you going through the day.